Michelle Cave teaching for Ballet and Beyond NYC. Photo courtesy of Cave. Dance – and professional training – should be accessible for everyone, no matter social status, location and financial situation. Ballet and Beyond NYC is an organization devoted to giving kids a safe and affordable way of exploring the joy of learning classical ballet at a high level, while helping them develop self-expression, confidence and discipline, all qualities that can help them succeed beyond the ballet studio. 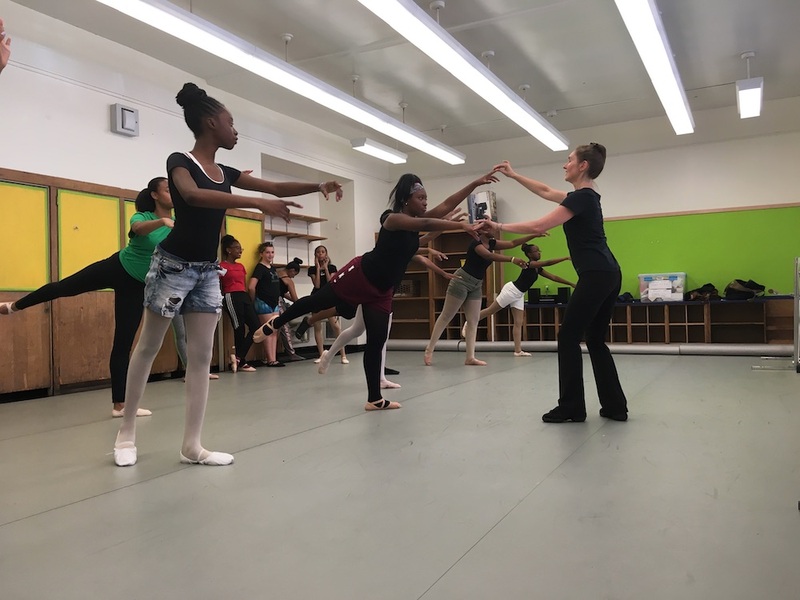 Michelle Cave founded Ballet and Beyond NYC about three years ago, when, even after having taught at several professional schools such as The School at Steps, she wanted to reach more kids. She specifically wanted to find a way to teach kids who had a passion for ballet but did not have the means to train at a good school. After speaking with the director of Youth Programs at Goddard Riverside Community Center (GRCC), Cave agreed to co-direct a pilot summer performing arts camp and offer some after-school classes during the school year. And Ballet and Beyond NYC has grown from there. 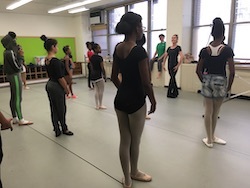 Each summer, Ballet and Beyond NYC offers a six-week performing arts camp, partnered with GRCC, and with further artistic direction from Carlton Terrence Taylor, who specializes in musical theater. There are about 60 kids in attendance, who take classes in ballet, modern, hip hop, voice, acting and drumming, as well as rehearse for an end-of-session performance. There are also special workshops and field trips, both arts-related and just for fun. Ballet and Beyond NYC. Photo courtesy of Michelle Cave. 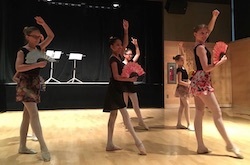 During the school year, Ballet and Beyond NYC offers after-school ballet and modern classes, as well as a Saturday performing arts workshop series for students who want to spend more time on the creative and performance elements of dance. Students also have the opportunity to perform in community center showcases, presenting variations and group pieces they’ve learned during the year. Just this past May, Ballet and Beyond NYC collaborated with Silver Music, a local music school, and dancers performed to live violin in an afternoon of music and dance. Faculty members all teach at other established NYC studios or at the college level, and all teachers are paid. And, in line with the organization’s mission, most programs are free for the students, or if there is a small fee, then scholarships are available. Students generally range from age eight to 14 and come from many different academic schools, making the student body incredibly diverse, Cave notes. Prior dance experience is not necessarily required (depending on the level of the class), but students are expected to have a passion and commitment to study in a disciplined manner. 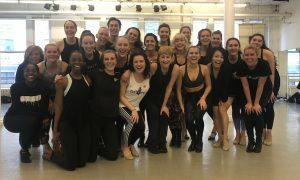 As Ballet and Beyond NYC is a not-for-profit organization, donations are necessary in order for the program to continue is community-centered work. People can support Ballet and Beyond NYC through Fractured Atlas, and donations go toward portable Marley floors, ballet barres, attire and of course to the trained teachers and accompanists. Ballet and Beyond NYC also benefits greatly from donations of supplies and costumes. Gaynor Minden and From Our Hearts to Your Toes have been generous donors of the organization already. 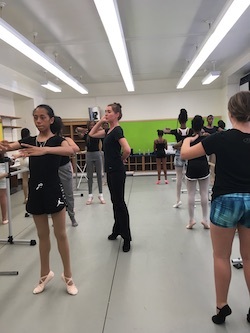 Cave is proud of the work that the young organization has already done and enjoys those moments when the students’ eyes light up because they’ve made a connection between ballet’s physical movement and the artistic passion and expression that has been inside of them. For more information on Ballet and Beyond NYC, visit www.balletandbeyondnyc.org. To make a donation to the organization through Fractured Atlas, click here.